Before I get to the tips for hanging wallpaper, I’m sure you’re dying to know which one I chose. 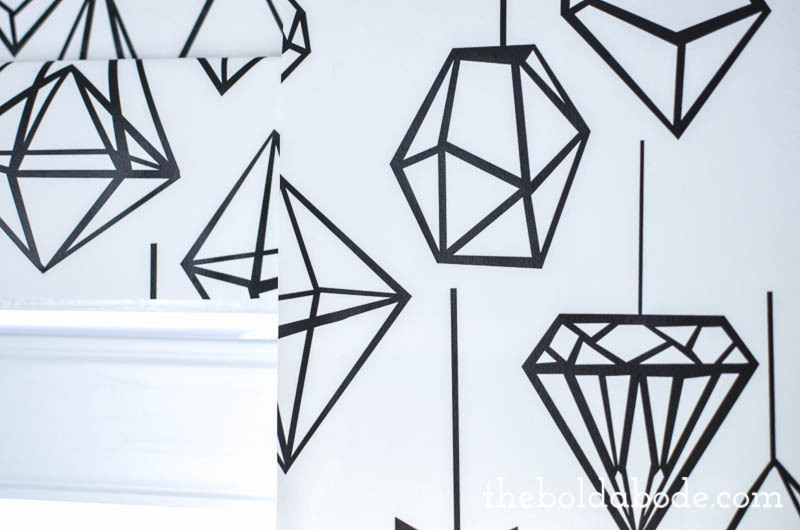 I narrowed it down to these 5 amazing black and white designs and then chose two and ordered samples for the Tons of Tiles and the Geo Ornaments. 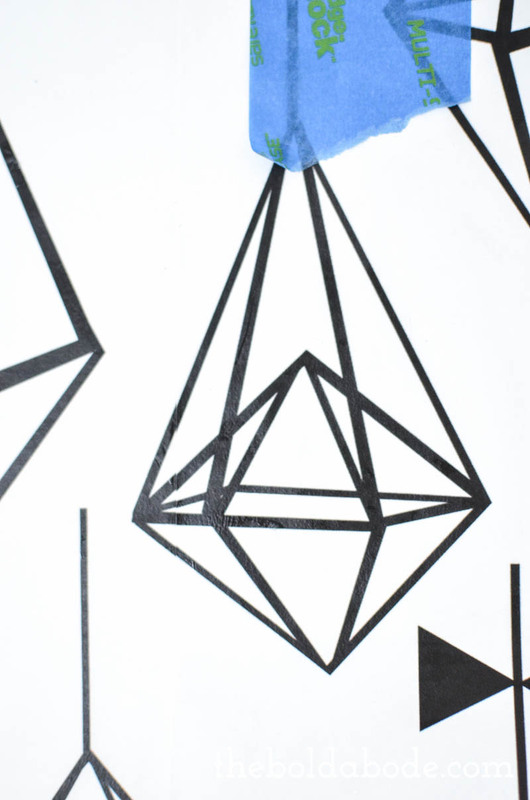 I knew immediately when I put the samples on the wall that the Geo Ornaments were a winner! Yay! I highly recommend ordering samples. Whether you are painting or wallpapering, having a big sample swatch is THE way to go. So now, let’s get to the tips! If you have a bathroom nearby, use the tub for your water trough. That is if you are using this pre-glued, re-moveable paper from Spoonflower.com. 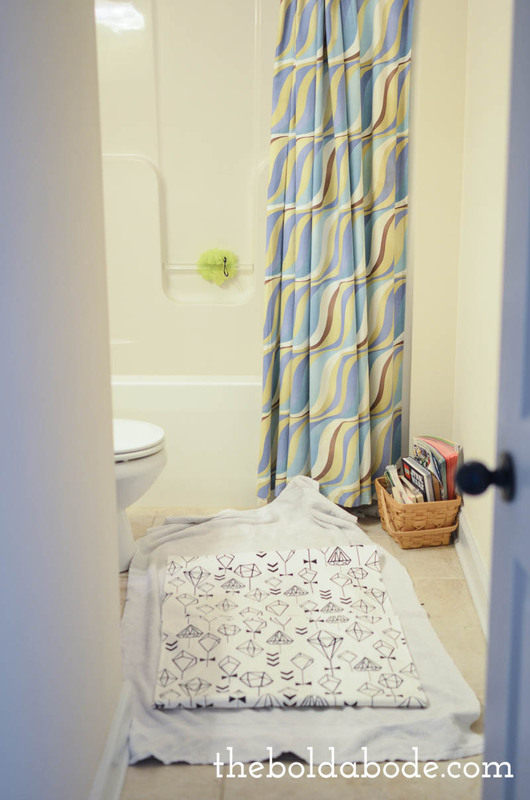 After you have moistened the paper (it doesn’t take long, just run it through the water), lay it out in the floor on a towel and bookend the piece. Let it sit for 5 minutes to activate the glue. Keep a roll of painter’s tape handy. 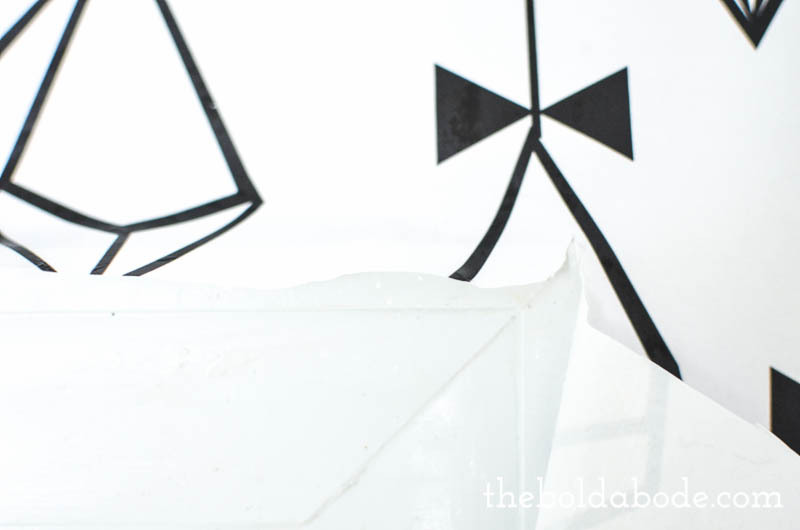 This paper has the tendency to slide around a little bit, so you want to make sure the top is secured with tape. 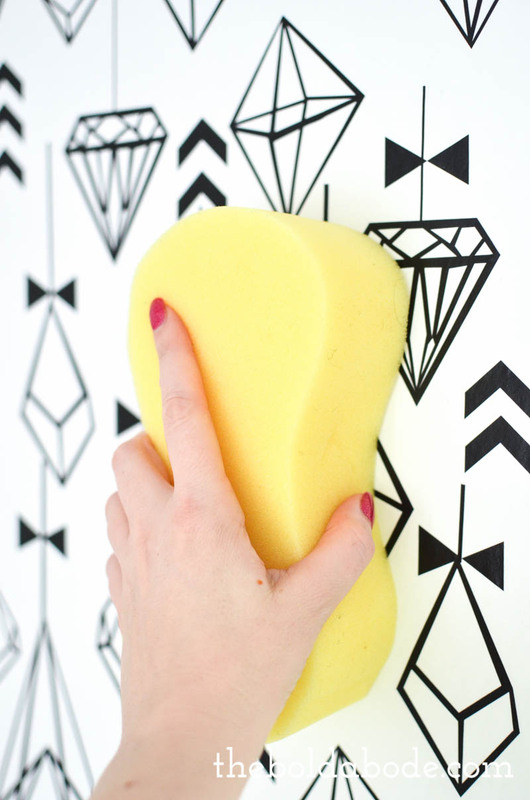 Use a big, fluffy, slightly damp sponge to wipe from the top to the bottom. Make sure you have a towel handy and are using a drop-cloth to catch any watery glue that might seep out the bottom. I found that just quickly immersing my paper in the water kept this down to a minimum, so don’t feel as if you need to soak the paper. Just roll it through the water a bit. That’s all you really need. Run your hand over the paper to make sure you don’t have any bubbles. 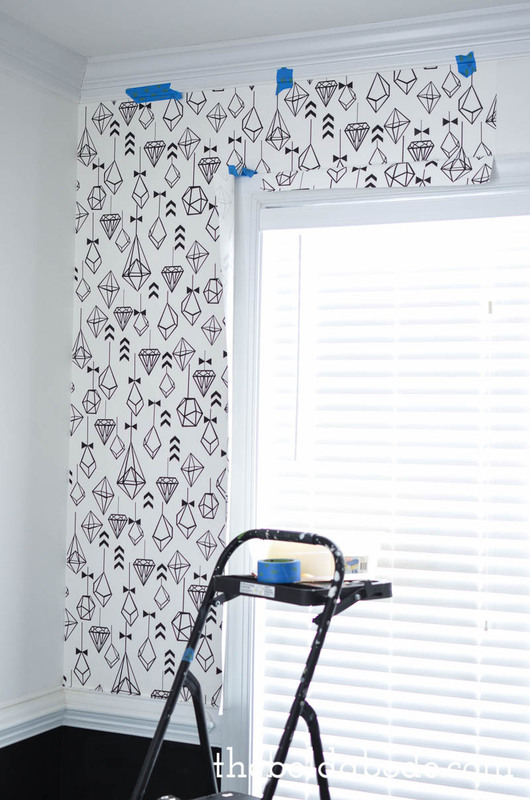 When papering around doors and windows, hang your paper so it drapes over and secure it with tape. Then carefully push it in a little bit and trim, leaving a large margin hanging over. Then, clip the corner and smooth out around the frame. Working the paper around the windows was the biggest unknown for me. I wasn’t quite sure how to make this work until I just dug in and figured it out. So don’t let having to paper around doors and windows scare you off. It’s totally easy to do. 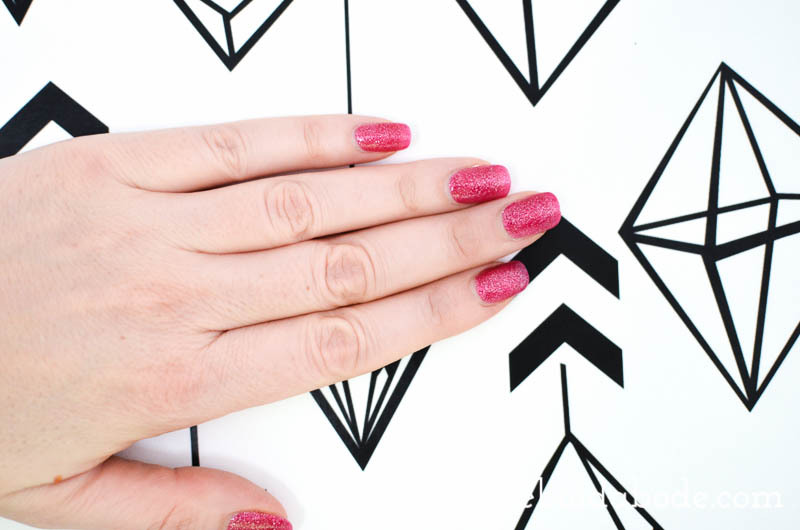 Use your fingernails (gently) to crease the paper into the corners. 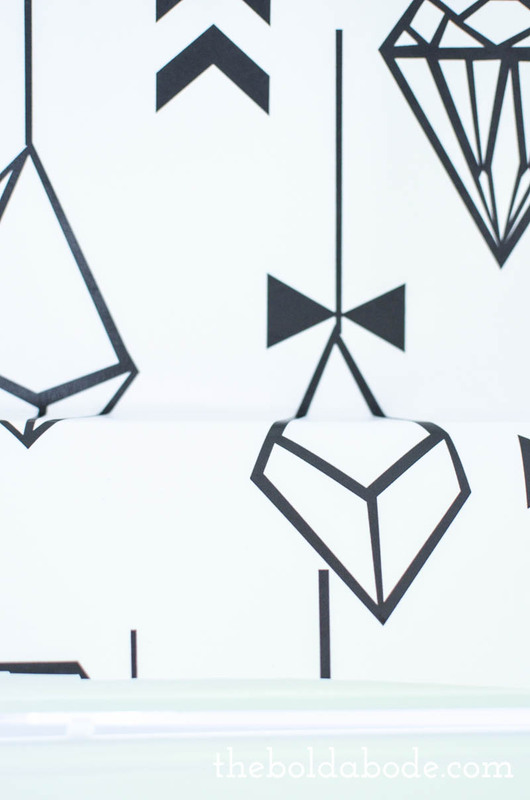 When you get to the seemingly overwhelming task of matching the pattern, don’t tape the paper on the top. 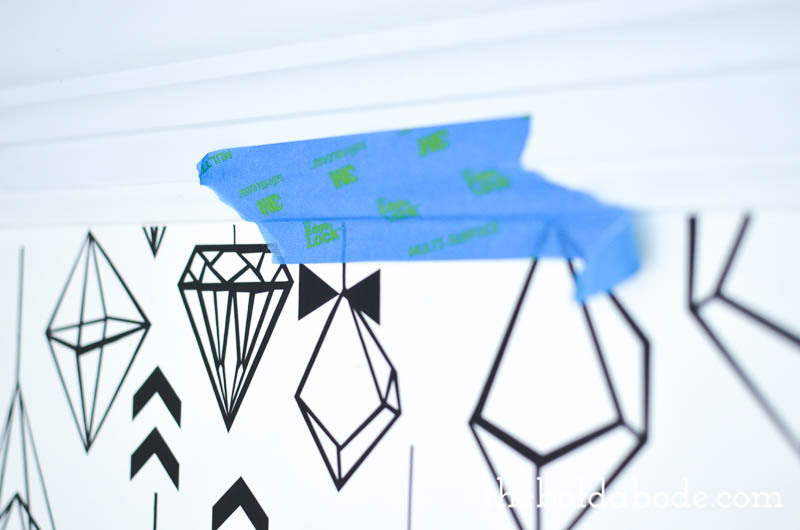 Tape it where you’ve matched your pattern first and then tape it at the top. You want the paper to be able to slide around a tad so it’s easier matching. Use a very sharp box cutter to trim the paper. HAVE NO FEAR! 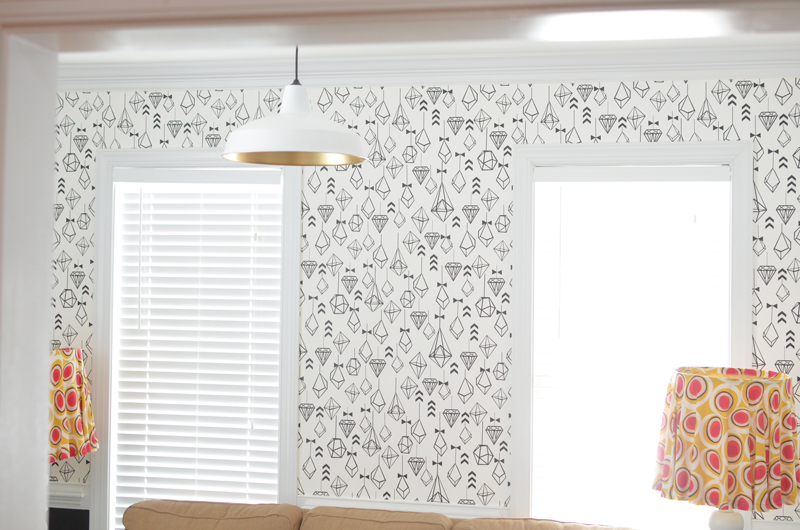 Since this wallpaper is removeable (and it is… I already tested it on my stairs), you can wallpaper without the worry of the dreaded removal process. Life-changing, isn’t it? I love how it turned out and can’t wait for the new sofa to get here. It should be arriving sometime in late February! Yay! 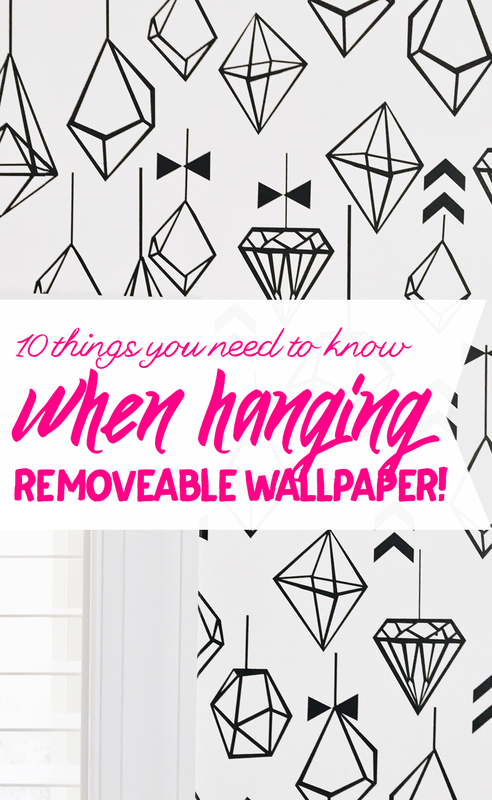 Do you have any more wallpapering tips? Share them down in the comments below! Oh Gwen, it looks great! Such a fun choice! It came out great Gwen. I thought for sure you were going with Tons O Tile, but this looks really good. I don’t know how you have the patience to do any of this!! So, not to be nosy, but since you’re a girl after my own heart (and by that I mean cheap) (inexpensive) (quality product for less and my strike through key doesn’t work) about how much did this cost? Great job; I really appreciate your blog!! Thanks so much, Donna! It was about $200 to do this one wall…hence the only one wall! But it was worth it, I think! Definitely!! Thanks for the response!